Hello dear clients, we are very pleased that you have taken the time to read these itineraries. These tour itineraries are flexible and may be adjusted to suit your requirements. 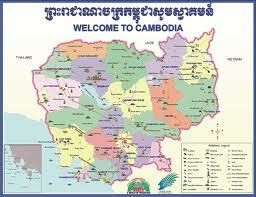 Angkor Wat Services have several Package Tours to offer you during your holiday in Cambodia. We will recommend worth visiting places upon your request and duration of your say. Please feel free to contact us! Visitors have to take a photo to stick on ticket at Angkor Enterprise and should wear the proper dresses as the shirts should cover shoulders, and the trousers, pants, shorts or skirts should cover knees. The tour will start at 8:30am to see South gate of Angkor Thom, Bayon, Baphuon, Phimean Akas, Elephant terrace, Ta Prohm, have lunch at the local restaurant, then see Angkor Wat. The total package tour price is USD73 for one person; USD81 for 2 persons; USD89 for 3 people, and USD97 for 4 people includes with English licensed guide, cold water, but this price excludes with one day Angkor temple pass USD37/Person, hotel, beverage, gratuities and your own expense. The tour will star at 5:00am to see sunrise at Angkor Wat, have breakfast nearby the temple, continue to see Angkor Wat, then see South gate of Angkor Thom, Bayon, Baphuon, Phimean Akas, Elephant terrace,have lunch at the local restaurant, then see Ta Prohm. The total tour price is USD83 for one person; USD91 for 2 people, and USS99 for 3; USD107 for 4 people includes with English licensed guide, cold water, but this price excludes with one day Angkor temple pass, hotel, gratuities and your own expense. At 9:00am see North gate of Angkor Thom city, Preah Khan, Banteay Srei, have lunch at the local restaurant, then see Banteay Samre and Pre Rup. The total tour costs USD83 for one person; USD91 for 2 persons; USD99 for 3 persons; USD107 for 4 persons includes with English licensed guide, A/C-car, Bottle of cold water, lunch, but excludes one day Angkor temple pass USD37/Person, hotel, gratuities and your own expense. At 8:00am pick you up from your hotel, then see depart to Kulen Mountain to see a thousand Linga carvings under the stone riverbed, a giant reclining Buddha carving, have lunch at the local restaurant, then see waterfall and local village made palm sugar. The total two day tours cost 275US$ for USD310/Day for two people, and USD355 for 3 people includes with English licensed guide, driver, cold water, entrance fees for the one Day Angkor Temple Pass, Beng Mealea pass, Kampong Khleang village with boat ride fee, but this price excludes with hotel and lunch. The total two day tours cost 240US$ for one person, USD290 for two people, and USD350 for 3 people includes with English licensed guide, driver, cold water, entrance fees for the two/three Day Angkor Temple Passes, Beng Mealea pass, Kampong Khleang village with boat ride fee, but this price excludes with hotel and lunch. Private A/C Camry with experienced driver and licensed tour guide can be used upon your request. -Phnom Kulen Mountain from 1 to 3 person is 150US$ per person, USD170 per two people, and USD190 per two people. (These prices include with English licensed guide, A/C-car, cold water, entrance fee for Phnom Kulen Mountain Pass, ,but excludes with lunch, hotel and Tips). (These prices include with English licensed guide, driver, cold water, all entrance fee for Phnom Kulen Mountain Pass, Beng Mealea Temple Pass, but excludes with lunch, hotel and Tips). (This price includes with English licensed guide, driver, cold water, but exclude with all entrance fee for the Koh Ker Temple Pass, Beng Mealea Temple Pass, lunch and Tips). One Day Tour to Beng Mealea & Kampong Khleang Village from 1 to 3 persons is 150 US$/Day/Group (This price includes with English licensed guide, driver, cold water, but exclude with all entrance fee for the Beng Mealea Temple Pass, Kampong Khleang Village with Boat trip, lunch and Tips). One Day Tour to Beng Mealea & Kampong Kampong Phluk Village from 1 to 3 persons is 150 US$/Day/Group(This price includes with English licensed guide, driver, cold water, but exclude with all entrance fee for the Beng Mealea Temple Pass, Kampong Phluk Village with Boat trip, lunch and Tips). One Day Tour to Rolopus Group & Kampong Phluk Village from 1 to 3 persons is 150 US$/Day/Group(This price includes with English licensed guide, driver, cold water, but exclude with all entrance fee for the Angkor Temple Temple Pass, Kampong Phluk Village with Boat trip, lunch and Tips). One Day Tour to Preah Vihear (245km) & Anlong Veng (The lats strongwhole of Khmer Rouge Site), from 1 to 3 persons is 270US$/Day/Group (This price includes with English licensed guide, driver, cold water, but exclude with all entrance fee for the Ta Mok's House, Pol Pot's Grave and Preah Vihear Temple Pass, lunch and Tips). (This price includes with English licensed guide, driver, cold water, but exclude with all entrance fee for the Banteay Chhmar Temple Pass, lunch and Tips). (This price includes with English licensed guide, driver, cold water, but exclude with all entrance fee for the Preah Khan Kampong Svay Temple Pass, lunch and Tips). (This price includes with English licensed guide, driver, cold water, but exclude with all entrance fee for the Sambor Preikuk Temple Passes, lunch and Tips). Private A/C Car, Minivan with experienced driver, Motor-Boat/Canoe ride and licensed tour guide can be used upon your request. Private A/C taxi, Minivan with experienced driver and licensed tour guide can be used upon your request.